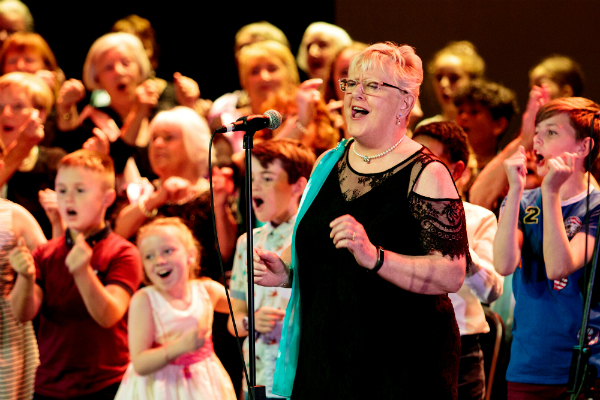 Are you interested in bringing older adults and young children together to share knowledge, skills, values and have fun? 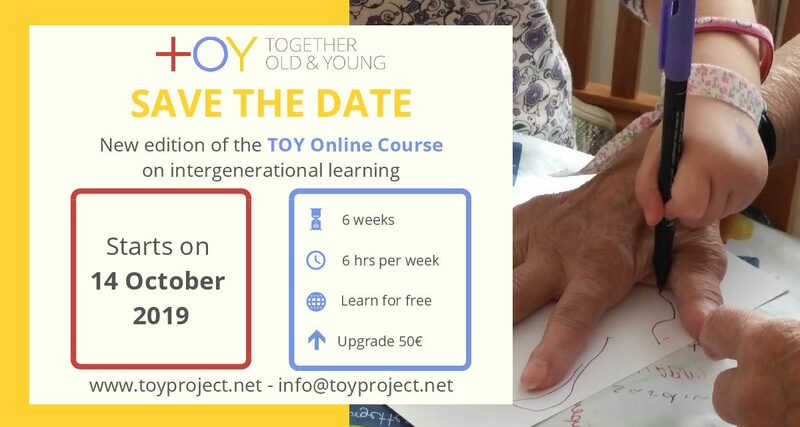 If yes, then the TOY online course “Together Old and Young: An Intergenerational Approach” is what you are looking for! 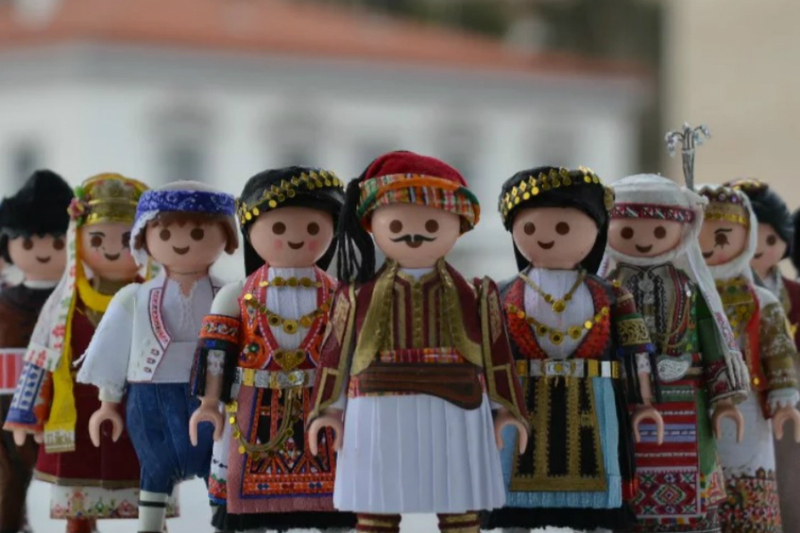 The next edition of the TOY Online Course will start mid-October 2019. Subscribe to the TOY Newsletter to receive updates. This online course is designed for anyone who wishes to participate in continuing professional development in intergenerational learning. There is no requirement for prior knowledge or experience in this area of practice. The course is relevant for early childhood education and care practitioners, primary school teachers (working with 4 to 8 year-olds), social care practitioners and volunteers working with older adults and community development workers. Understand the concept of intergenerational learning. Be able to outline the benefits of bringing different generations together especially young children and older adults in a meaningful way. Realise how intergenerational learning can be applied within a wide range of contexts and settings. 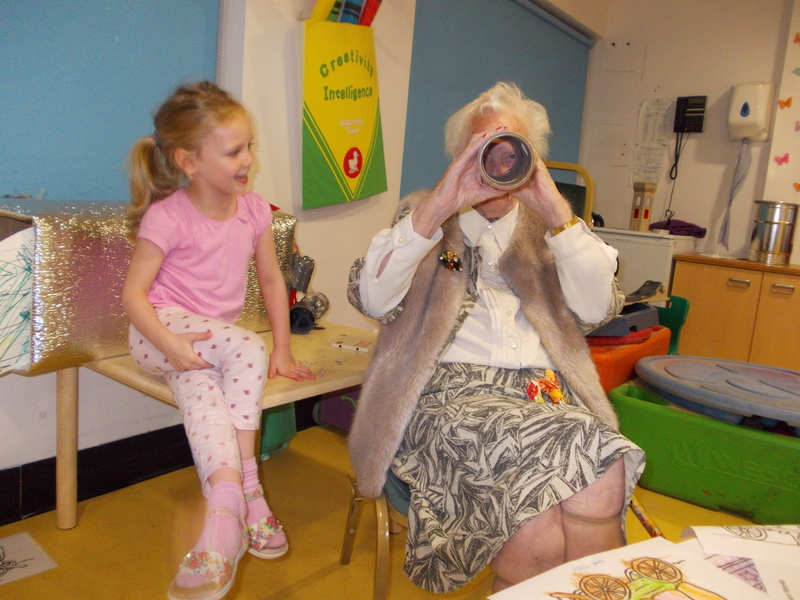 Plan and take steps towards implementing an intergenerational learning activity involving young children and older people. The next TOY Course will start mid-October 2019 and registration will be open from mid-September 2019.